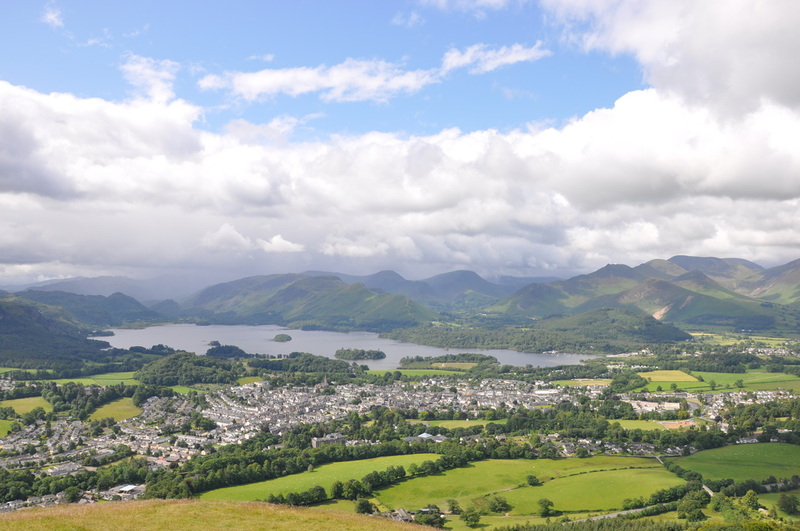 Generally good with a few rain showers. 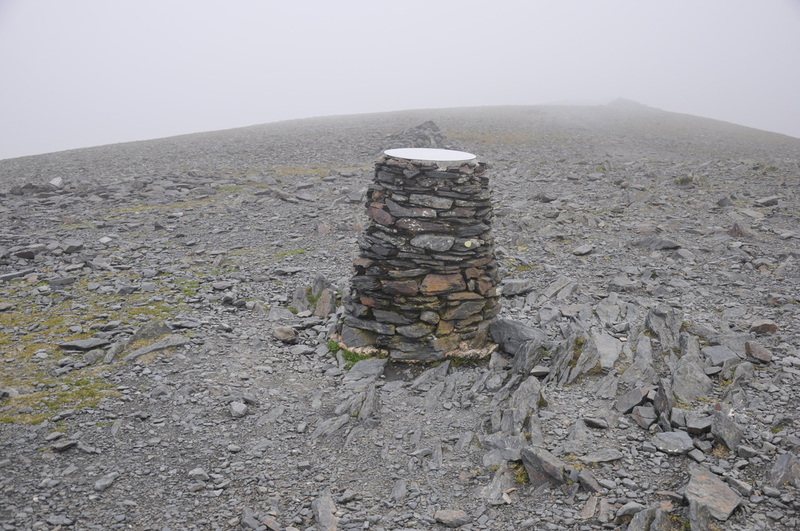 Visibility poor and very windy on Skiddaw. 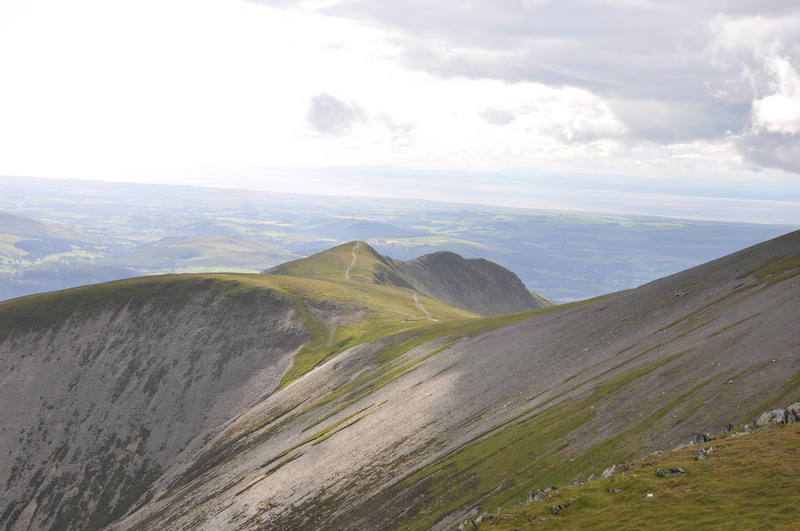 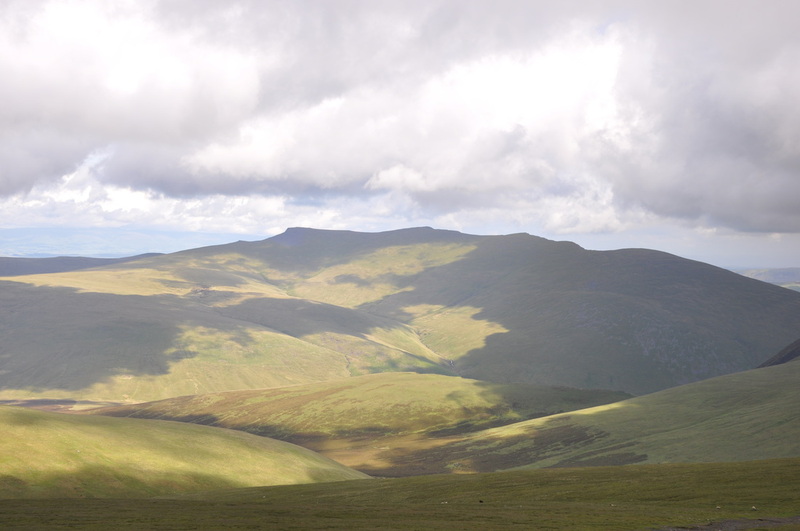 ​A long day but such a lovely walk taking in the two giants of The Northern Fells, Blencathra & Skiddaw. 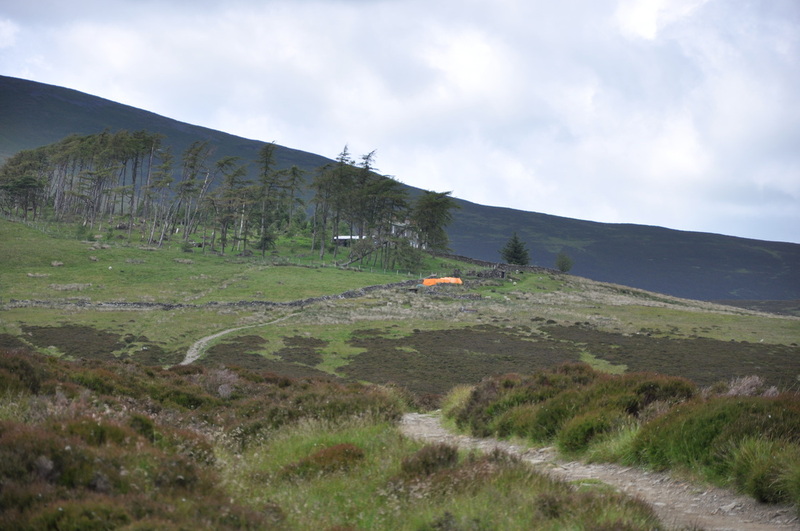 The walk starts out from the popular Gale Road Car Park near Ormathwaite. 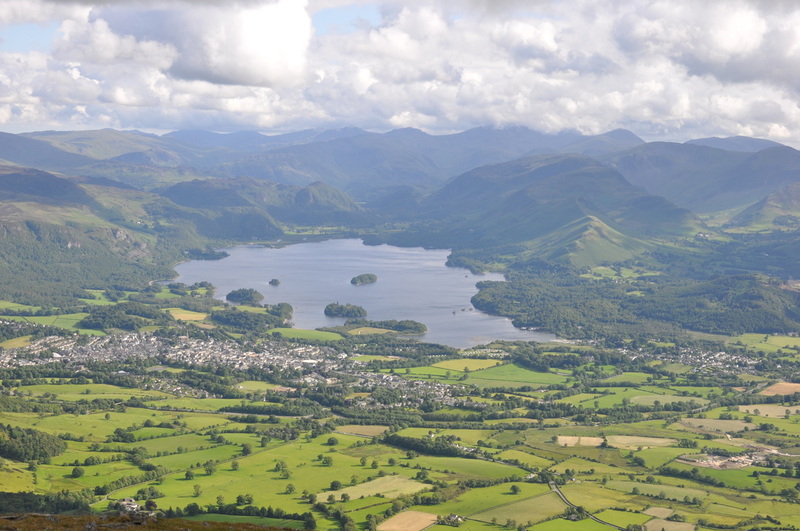 From here there is a short trip up to the summit of Latrigg which gives a panoramic view over Keswick, Derwent Water, the North Western Fells and Borrowdale. 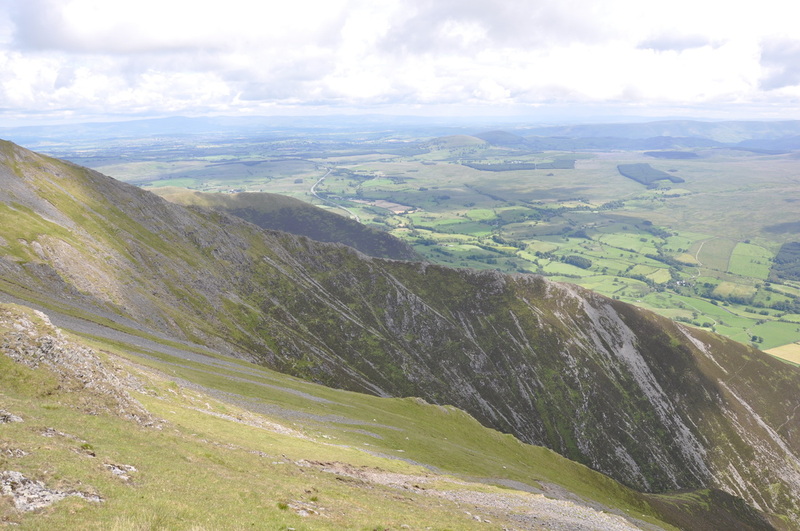 From Latrigg we headed for the Blencathra Field Centre and then the long walk up Blease Fell to the Summit ridge of Blencathra at Knowe Crags. 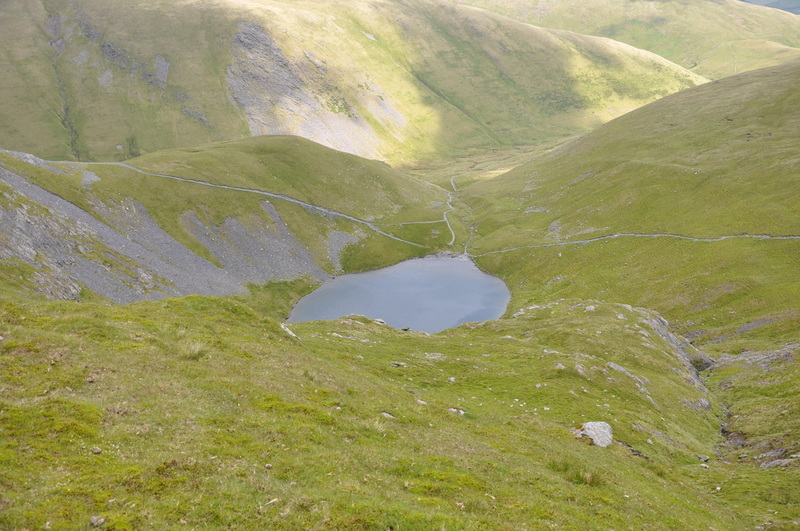 The ridge then heads to the Summit proper at Hallsfell Top then sweeps left to Atkinson Pike where there is a good view down to Scales Tarn and Sharp Edge. 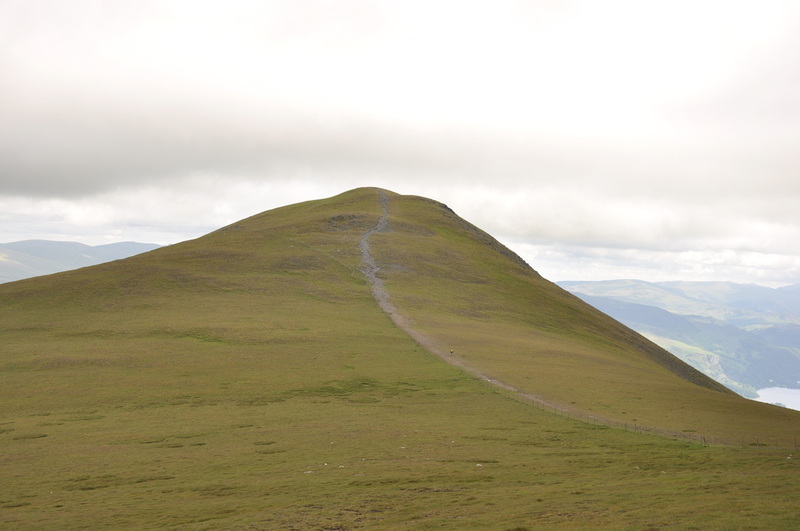 Dropping off the summit, there is then a dull trudge over Mungrisdale Common to locate the summit of this strange Wainwright and once found we then headed for the lonely Youth Hostel at Skiddaw House. 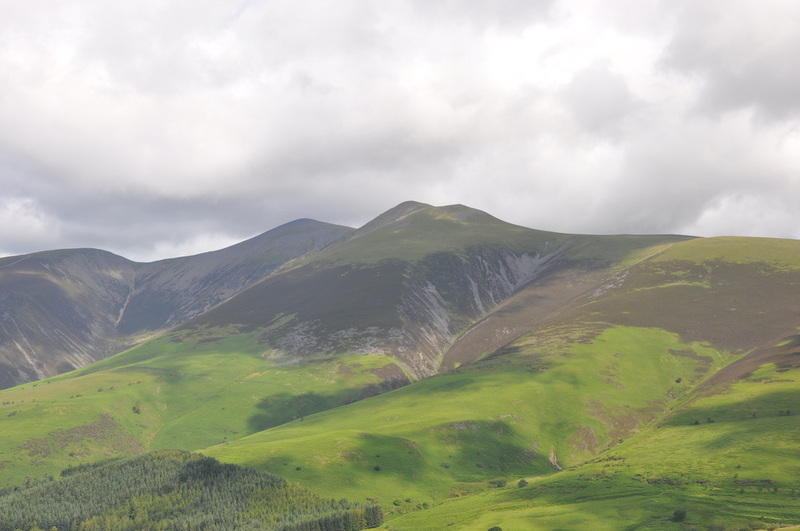 It was shortly after Skiddaw House that the heavens opened and we donned our foul weather gear - it was to remain on for the remainder of the walk. 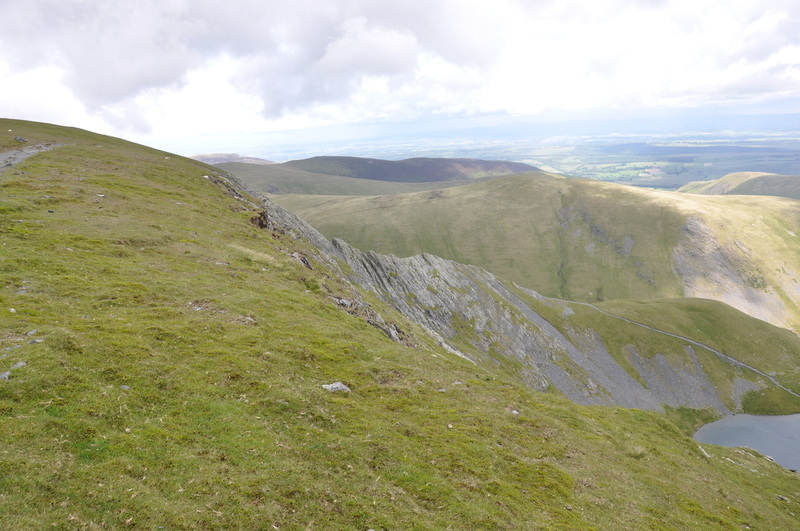 There is then a short, gradual ascent up to Sale How before the steep pull to the col between Skiddaw and Little Man. 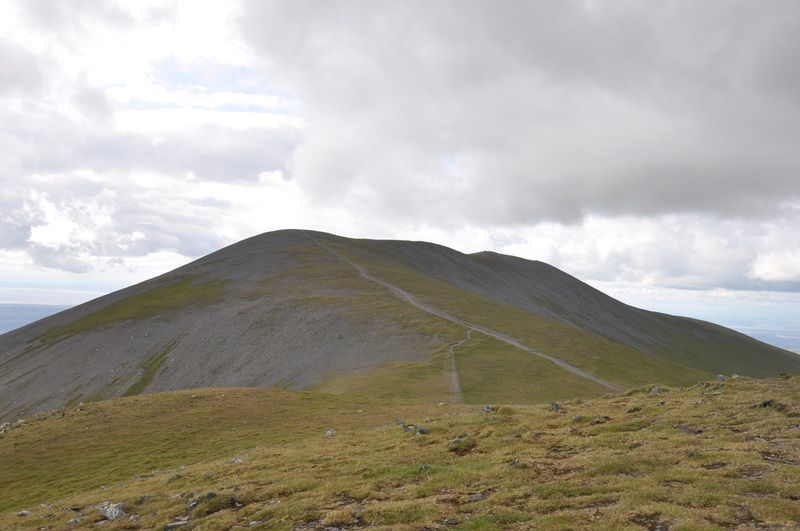 It was busy here and we joined the queue of people heading up Skiddaw Summit where it was clear to see that there would be no views today. 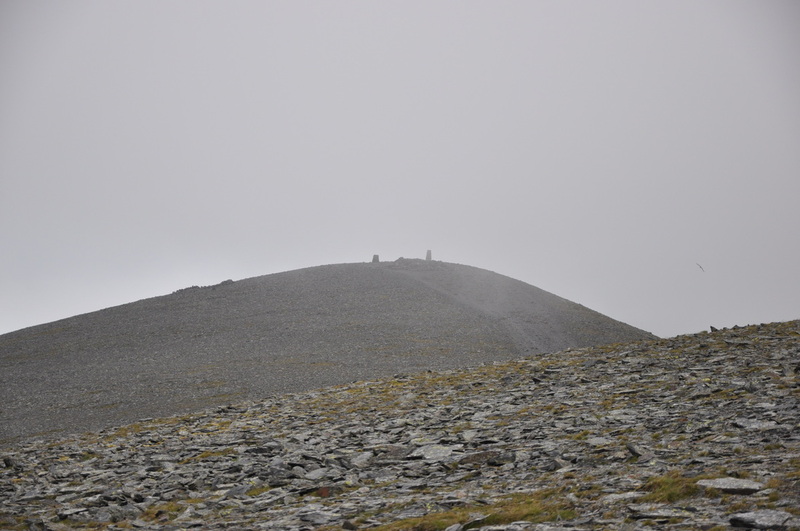 The Summit, unfortunately, was busy and bleak but as we headed for Little Man the cloud cleared and we had good views over Carl Side down to Ullock Pike. 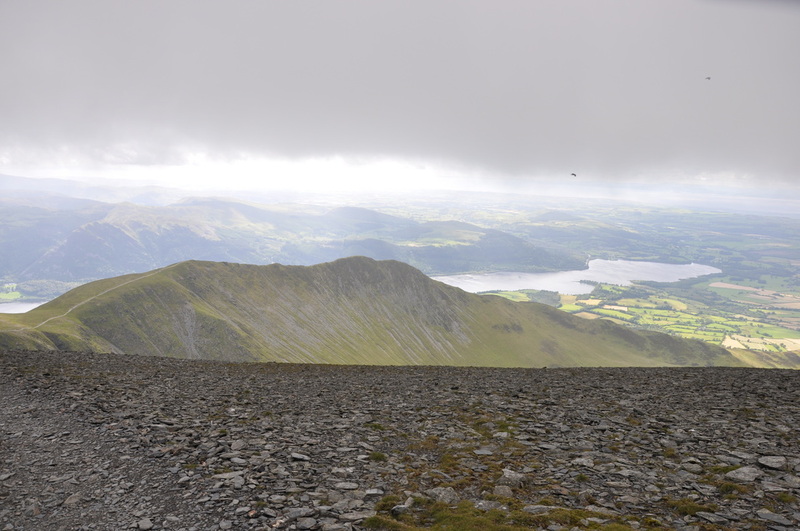 From Little Man the descent is tough on the knees and we were also beginning to feel quite tired by this point and avoided the temptation to bag Lonscale Fell and instead headed back down to the Car Park. 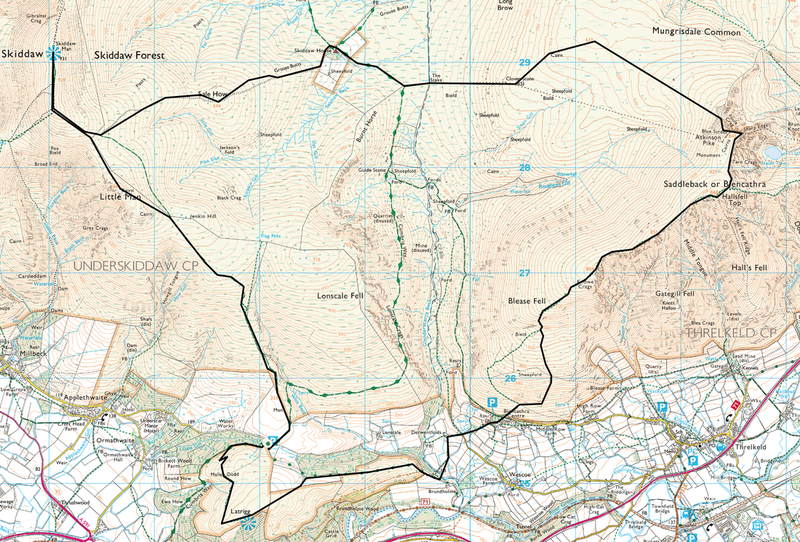 A fantastic walk in generally good conditions. 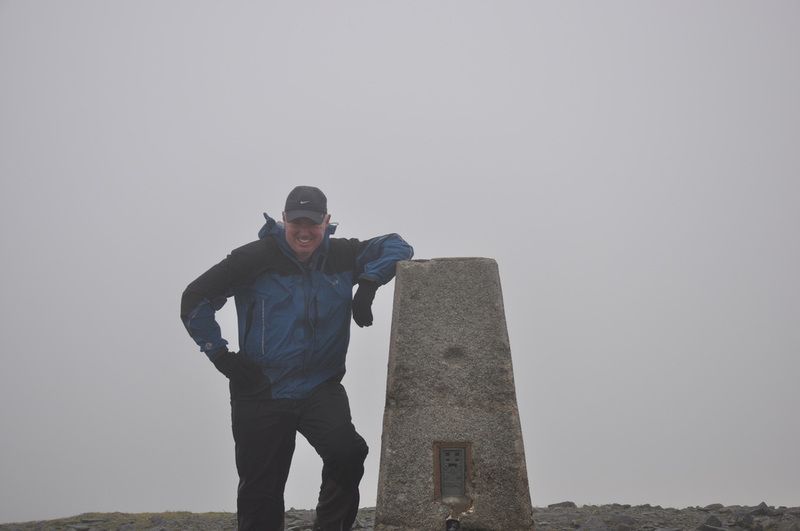 Summit of Skiddaw - great visibility!